Users who donated more than one type of item to a charity had to enter each item individually on a separate line. 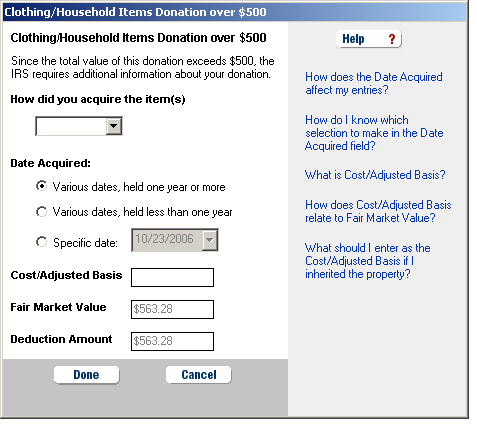 Users didn’t understand what the Details button was for or how to access the details required for donations over $500. Added the ability to enter a series of items for each trip to a charity. Clarified the detail entry process. A summative usability study and walkthrough confirmed reduced confusion over the details and increased time to enter noncash donations.